Hanson Aggregate is the world's leading manufacturer of heavy building material. They offer vast range of products related to construction process. Aggregates, decorative premixed concrete material, standard premixed concrete, precast concrete and even high performance premixed concrete makes up as the primary materials that the company deals in. The serve these products for construction purpose related to all sectors - civil, residential or commercial. Gravel, sand, graded stone also form some of the crucial raw materials that the company deals in while delivering products required in construction projects. They even offer crucial service for testing all these products before final delivery to the construction sites. There are currently 0 consumer reviews about Hanson Aggregates available. Share your review. 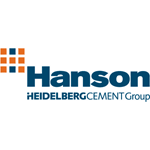 Please take a note that you are about to post a public review about Hanson Aggregates corporate office on CorporateOffice.com. This review will be public, so please do not post any of your personal information on this website. If you would like to contact the corporate offices of Hanson Aggregates, please use their contact information such as their phone number, website, and address listed above to contact them. However, sometimes staff from Hanson Aggregates headquarters do read the reviews on this website.